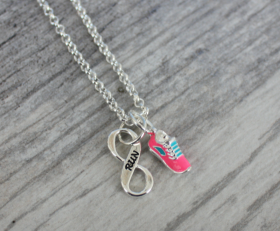 This necklace shows your love for running. 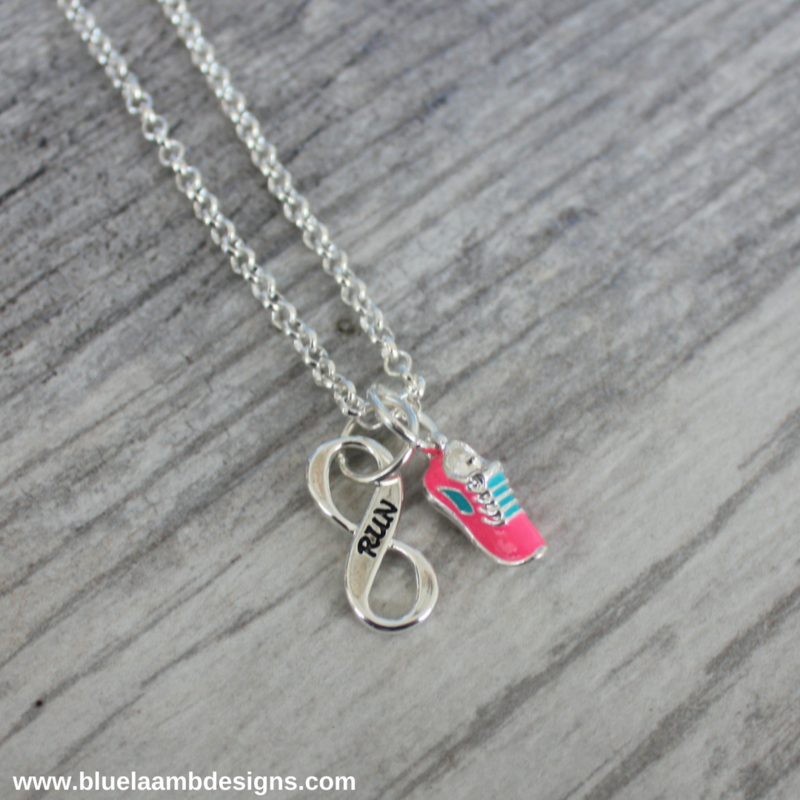 It’s an infinity symbol with the word “run” printed on it AND you can choose a running shoe or a running distance to go with it. You also choose the type of chain or leather cord. Categories: Running Jewelry, Running Necklaces, Shop.